As a small business owner, you wear multiple hats. Because no one is equally good at everything, some of your hats are a little too big or a little too small - but you wear them anyway. Only people who have run a business can possibly identify with the pressure to be a Jack of all trades in this way. 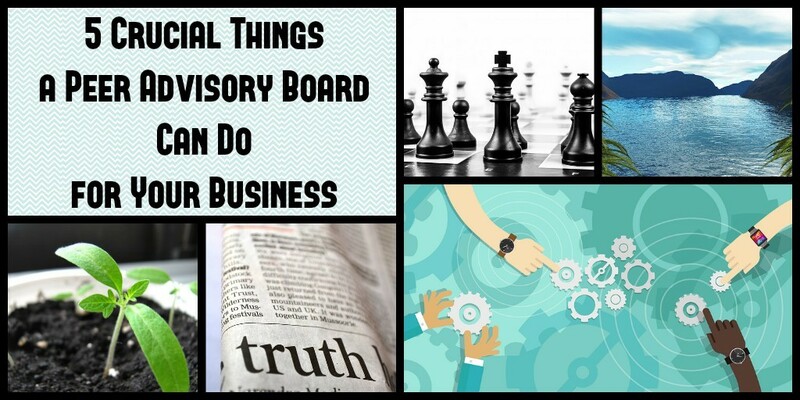 To the business owner, a peer advisory board is a room full of people who know what it is to wear the hats. They’re the people who know what it takes to steer a business toward success, because they’ve done it - or are in the process of doing it - themselves. 1. Run your business strategically. There are some pursuits in life which require little to no strategy. What you order for dinner tonight will affect your life for a very short period of time, but who you decide to hire and which departments you decide to expand are decisions that have long-lasting effects. When it comes to your business, you’ve got to take the position of a chess player in the match of his life. Because running your business is the match of your life, after all. TAB’s 20 years of experience has taught us that business owners who develop and follow strategic plans are more successful than those who don’t. How do you draft a strategic plan? What should yours look like and what should it entail? You could draw it up alone, but you’d be cheating yourself out of the feedback of other business owners who have focused on strategic planning for years. How do you know what’s missing if you don’t know what to look for? The sounding board function of a peer advisory board provides small business owners with the opportunity to see outside of their tunnel vision, gaining insight and advice from those with similar challenges. We’ve found that business owners who utilize peer advisory boards are more likely to have a strategic plan, and are also more likely to be satisfied with the strategic plans they’ve developed. In our recent Small Business Pulse survey, over 75% of entrepreneurs using strategic plans reported that it had heightened the performance of their company. The most frequently reported improvement? Increased revenue. 2. Bring more life to your work/life balance. That place where you feel your working hours charge you up for your play hours and vice versa. A balance between uptime and downtime. Are you there yet? Would you like to be? If you’re already there, you know this simple fact: it’s a constant balancing act - one that you constantly need to focus on maintaining. In general, the more balanced you are, the better you perform. That’s why it’s crucial that business owners purposely plan to enrich and increase their time spent with family and friends, work on outside interests or just do nothing at all. We asked hundreds of entrepreneurs about their work/life balance and found that those using peer advisory boards reported higher satisfaction with their time both in and outside of work. They were also less likely to report that they’d been neglecting either their family or themselves. Peer advisory boards have proven to be an ideal place to synergize your work/life balance goals with those who’re walking your same path. 3. Obtain guidance through periods of slow growth, fast growth and stagnant growth. Sometimes it’s hard to see the forest for the trees, and business growth is no exception. As a business owner, it can be easy to get wrapped up in the charts and graphs, obscuring the bigger picture of long-term, sustainable growth. When we asked entrepreneurs what they expected from the 2014 economy, the majority foresaw either modest or substantial increases in their sales revenue. This is exactly the kind of scenario where a peer advisory board can come into play. During a period of growth it’s important to pinpoint what’s working, what isn’t and what hasn’t yet been tried. Periods of stagnancy call for peer review even more reflecting on your company’s strengths, weaknesses, threats and opportunities. A strategic plan combined with a peer review board is the guiding compass for any business looking to get and keep a competitive edge. There’s a lot of knowledge to be shared by people who have companies in the same position yours is in - or better. Learn from successful entrepreneurs and share headspace with those who know where you’re coming from as you map out the future of your operations, and your business will benefit from it. 4. Seek the truth about your business. What’s the problem with receiving feedback and guidance from an employee? If you’re the boss, this individual will be less likely to give honest feedback. Pleasing the person who signs the paycheck - you - will remain a high objective, and it will give bias to anything he chooses to say. The members of a peer advisory board, however, are not beholden to you. This gives them the freedom to be candid and frank, telling you what you need to hear, when you need to hear it. And they will, and you’ll have the chance to offer your feedback and guidance as well. Additionally, you’ll find greater freedom in what you yourself feel comfortable discussing. Having internal business problems? You may not be too keen on letting other people closely tied to the company know about every internal struggle - and rightfully so. When you’re involved with a peer advisory board, you can uncensor yourself and ask the questions that really need to be asked. And when you hear the answers, you’ll know they’re coming from a place of understanding and experience instead of bias. 5. Leverage a think tank of business experience to solve challenges and seize new opportunities. If you’re up against a government regulation, tax issue, HR problem or anything else business-related, the chances are good that somebody in your peer advisory board will have gone through something similar (or knows somebody who has). Additionally, are you on the lookout for expansion and partnership opportunities? Your natural tunnel vision may prevent you from seeing all of the possibilities available. Leveraging the perception of multiple professionals will give you a broader perspective of the bigger picture, enabling you to pivot in the right direction at the most opportune time. In short, the peer advisory board brings the equivalent of a full-scale corporate board of directors to the small business owner, and it’s something that most business owners could see real benefit from. 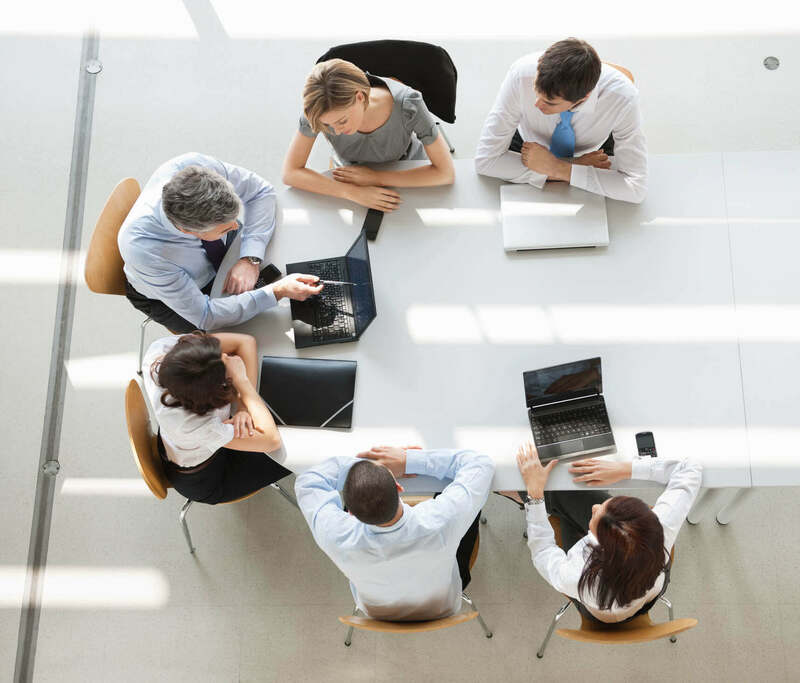 Whether you want to focus on maintaining your edge in a hyper-competitive marketplace, increase profit margins or figure out how to attract and keep the best talent, peer advisory boards are an asset you can leverage to take your company to the next level. Have additional questions about how to get started with a peer advisory board? Check out our free white paper which details the process to acquiring your own board of directors. Contact us to get started.